Whitney Joy Smith is offering Divorce Angels users a free consultation with one of her Private Investigators — Reliable, Professional, Discreet and Experts in their Field. The Smith Investigation Agency is a National Private Investigations firm and the largest Female Owned Private Investigative Agency in Canada. We operate throughout Canada in Alberta, Nova Scotia and Ontario and all major cities in those provinces as well as throughout the provinces. Our corporate head office is located in Mississauga, Ontario and we conduct a variety of investigative services working with the public, as well as legal and corporate sectors. We are a multi-year award-winning company whose goal is to provide the best possible results and service for all of our clients. Although we work with corporations, legal and insurance sectors, we have a family and private investigations department within our agency that has investigators specializing in domestic cases such as infidelity, child custody investigations, wellness checks on youth and elderly, asset investigations, locate searches, background checks, surveillance, TSCM and more. Working with an agency run by all females ensures you deal with a compassionate, detailed and informative team in office as well as experienced men and women conducting surveillance and research. With our team, you get professional, reliable and discreet investigators who can obtain the information you require. All the Private Investigators at The Smith Investigation Agency are experts. They care about their clients and focus on discreetly obtaining the best evidence and results for your case. Whitney Joy Smith is the owner of the Smith Investigation Agency, alongside her is her VP of Operations Mrs. Patricia Vercillo. Together they have worked with thousands of clients throughout Canada and Internationally to provide private investigative services with high-quality results, comprehensive and court-ready reporting, compliance while obtaining evidence, discretion as well as excellent customer service. The evidence that Whitney, Patricia and their team have obtained has assisted in many courts battles won, as well as peace of mind brought to many others. When hiring a private investigator working with the right team is imperative and although male private investigators are useful in the industry working with women has proven to have better results. 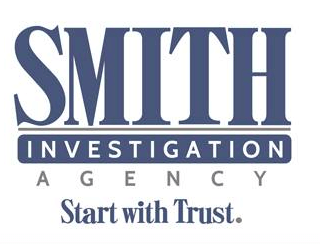 Start with a team you can trust - The Smith Investigation Agency.